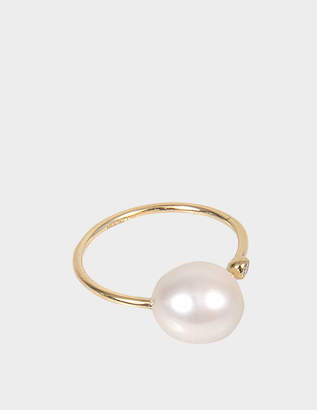 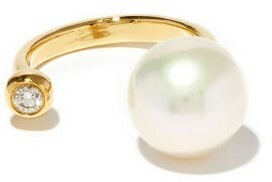 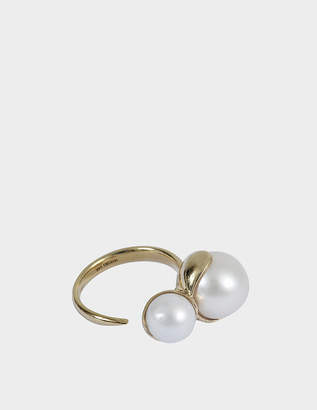 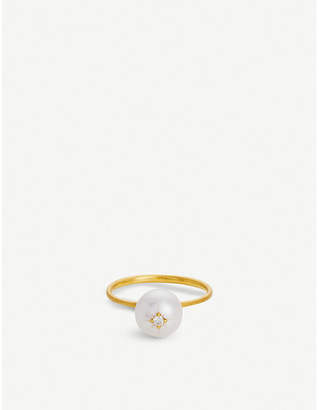 Mizuki's elegant and understated ring is perfect for everyday wear. 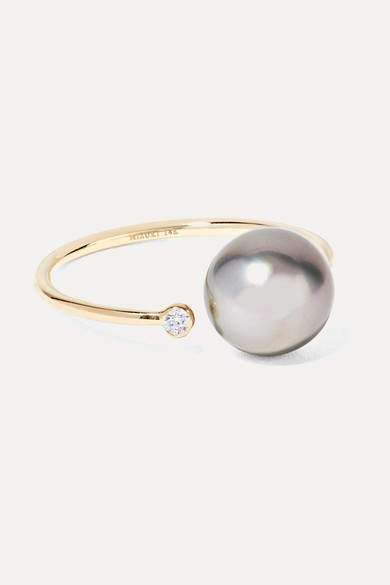 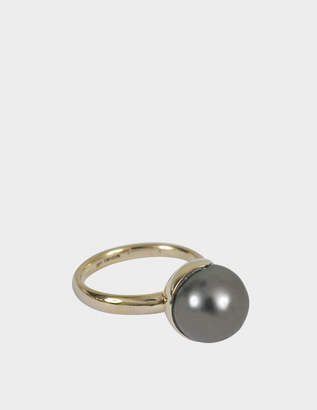 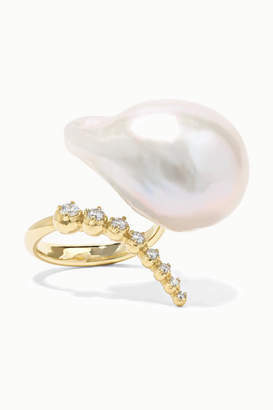 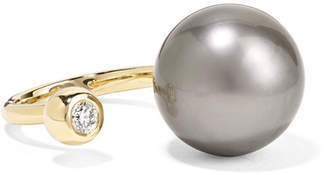 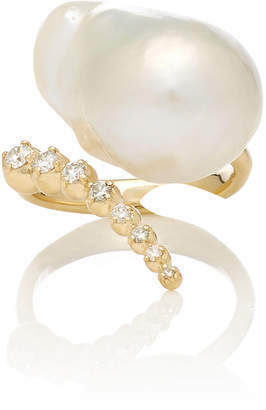 Crafted from 14-karat gold, this piece has an open silhouette that's tipped with a single black Tahitian pearl at one end and a sparkling diamond at the other. 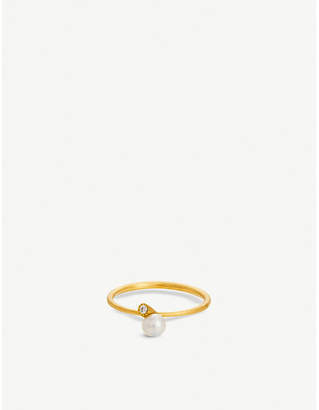 The thin band makes it easy to stack with similar styles.